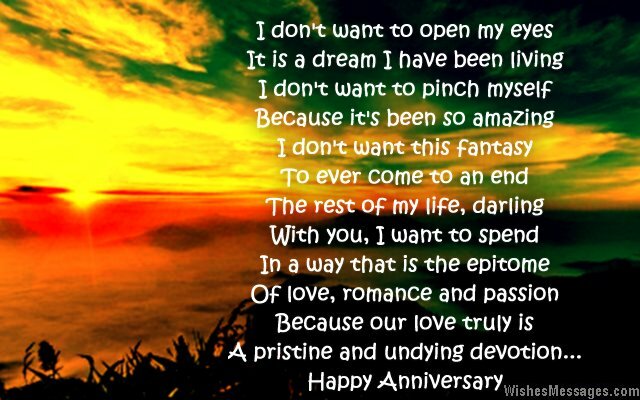 First Anniversary Poems for Husband: Sprinkle your 1st wedding anniversary celebration with a pinch of love and romance by writing a beautiful quote that comes straight from your heart. Read these short poems so you can reflect on your own marriage. 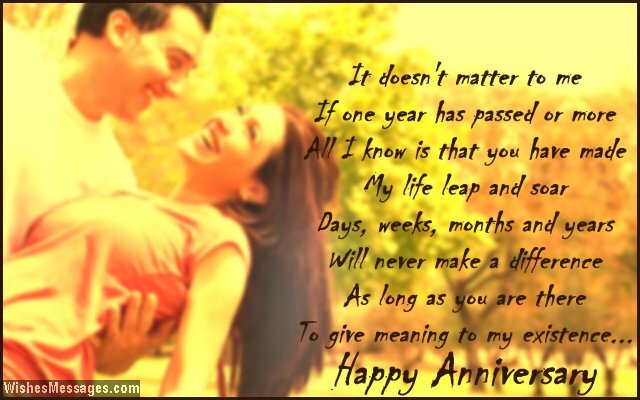 It will help you dig deep inside your soul and find the right words to say Happy Anniversary to your husband in a way that will leave him speechless. 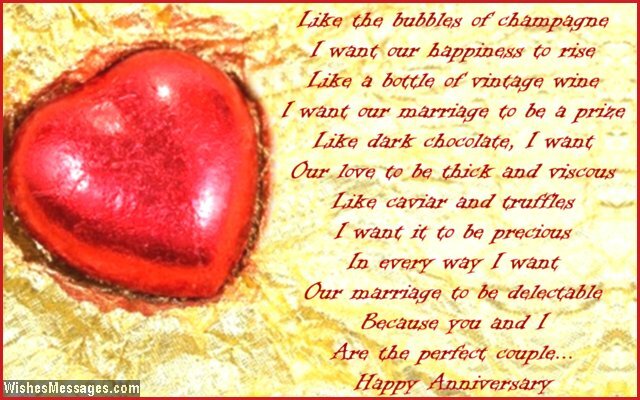 Don’t rely on the cheesy messages written on stock greeting cards. Instead, write something on your own. The phrases that resonate from your heart will be much sweeter and much more romantic than anything else. Just think of all the cute memories and funny moments that rocked your world in the last twelve months since you walked down the aisle to get married to the man who lovingly calls you, his wife.